In the case of IL 180336 to Helsinn Therapeutics (US) Inc, the Deputy Commissioner clarifies when it is reasonable for an Examiner to close the file. The case is a rarity in that Section 17c was invoked, but the Examiner’s issues remained unaddressed. Despite the corresponding patents in Europe and the US having issued, the Deputy Commissioner upheld the Examiner’s decision and implied that the Applicant either did not have the invention at the time of filing, or had acted in bad faith. The patent application remains refused as it makes contrary claims to that taught in the specification, alleges that the point of inventiveness was hidden in the priority document and subsequent filings and prosecution over an eleven year period, and raises factual arguments that contravened those given in Europe and a lack of clarity in claims which seems to indicate claiming a monohydrate salt displaying the Xray Diffraction pattern of the dihydrate. IL 180336 to Helsinn Therapeutics (US) Inc. is the national phase application of a PCT application filed in June 2005 that claims priority from a US application. The claimed invention relates to isomorphs of (3R) –I-(2-methylalanyl-D-Tryptophyl)-3-(phenylmethyl)-3-piperidinecarboxylic acid 1,2,2-trimethylhydrazide. The Applicant, represented by Dr Shlomo Cohen Law Offices requested allowance under Section 17c of the Law on the basis of the corresponding US issued patent number US 8,466,173. However, in July 2014, the Examiner refused to allow the claimed invention on the grounds of obviousness (Section 5) due to US 6,576,648 and due to Polymorphism in pharmaceutical solids” edited by H. G. Brittain, Marcel Dekker, D.J.W. Grant (chapter 1), p.1-10 and J.K. Guillory (chapter 5), p. 183-226 (1999). In addition to the obviousness objection, the Examiner also considered claim 1 as poorly drafted. The Applicant appealed the decision filed a written statement justifying allowance and requested a hearing. As toinventive step, Applicant accepted that the active ingredient anamorelin is known to increase release of the growth hormone Claims 1 and 2 claim monohydrate crystals and dependent claims 3-17 claim methods of fabricating the anamorelin monohydrate crystals. The Applicant submitted that cited US 6,576,648 describes synthesis of anamorelin fumarate by reacting the free anamorelin base with fumaric acid (trans-butenedioic acid). The resulting material is not crystalline but is a white foam as clear from attempts to follow the methodology of US 6,576,648 as described in Neal Anderson’s statement to the USPTO in response to an office action in the parallel US case. The Applicant further claimed that contrary to that alleged in the Office Action, persons of the art would not try to crystallize the free base but would rather try to nucleate a salt from it. The Applicant only tried to crystallize the free base after failing to crystallize a high purity salt. Since cited US 6,576,648 does not teach cited trying to crystallize the free base, the Applicant claims that there is an inventive step, particularly since the novel approach has higher yields. Finally, the Applicant claims that after many attempts to crystallize the material using other solvents, they only succeeded using methanol and this therefore provides an additional inventive step. Although the description relates to other solvents, this was a drafting mistake and only methanol works. This was, however, only clarified with the filing of the PCT application. As to the claims, the Applicant claims a particular polymorph known as the C structure, determined and defined by five XRay Diffraction signal peaks which provides a unique fingerprint. The Applicant considers that the monohydrate having different diffraction peaks of the dihydrate is not obvious. Whilst it is true that at room-temperature the monohydrate spontaneously converts into the dihydrate does not imply that there isn’t a temperature and pressure regime where the monohydrate is stable, and there is no reason not to claim the monohydrate [MF – if the monohydrate is not stable and transforms into the dehydrate, then there seems little point in claiming either the product or the method of claiming it]. As to not completing the examination procedure, the Applicant objects to the Examiner issuing two office actions and then a final rejection. The Applicant requested permission to correct the specification. He appended an amended claim set to his request, and after the end of the hearing requested until 24 hours to submit a further amended claim set. The following day Applicant requested a further three days to submit clarifications regarding issues raised in the hearing. The Deputy Commissioner ruled that anything not on record two days later could not be submitted and that she would rule on the contents of the file without additional hearings. Two days later, the Applicant submitted a 27 page document that included allegations, amended specification and a paper entitled ” Regulatory considerations of pharmaceutical solid polymorphism in Abbreviated New Drug Applications (ANDAs) (2003)”. Before relating to the heart of the matter, the Deputy Commissioner addressed the allegation that the Examiner closed the file without giving the Applicant a fair chance to relate to the objections. The Deputy Commissioner noted that the Applicant issued two office actions and then a final office action that related to the answers given by the Applicant. Finally, following a response to the final office action, the Examiner issued a decision of non-patentability. This is in accordance with Regulation 45 that provides for the Examiner finally rejecting an application if the notice prior to rejection under section 41 is not responded to in a manner that puts the Application into a condition for allowance. The regulations do not provide a minimum number of interactions but consider it sufficient that the response to the office action does not put an application into a state of allowance. On page 23 of The Guidelines for Examiners 23.1A from 31 July 2014 there is a two stage rejection procedure consisting of issuing a Final Office Action under section 41 and then a notice of closure if the issues raised are not addressed. The Guidelines state that if the application is in a cul-de-sac or if there have been four rounds of office actions, whichever occurs first, the examiner should act to close the file. A change of claims without explanation, such that the amended claims do not appear to overcome the objection. The conditions of 23.1(ii) are met since the Examiner stated that “systematic research into preparations to determine polymorphism is a routine activity in the pharmaceutical industry”. The Final Office Action of 18 March 2012 notes that the Applicant had simply amended the claims without relating to this issue. Thus the issuance of the Final Office Action was in accordance with the guidelines. Furthermore, the Examiner had requested a clearer table, and the Applicant had responded by stating that a clearer version will be submitted at a later date. Furthermore, instead of relating to the clarity issues raised, the Applicant simply requested allowance on the basis of the issued US patent by invoking Section 17c. thus it is clear that the Applicant failed to address the issues raised and the Examiner closing the file was legitimate. As clarified in the Appeal against the final rejection of IL 215110 “Method and System of Producing a Document” to Rami Dotan and Tal Petel, the examination of a patent application is not an open ended procedure and it should be brought to a close in a reasonable time frame. The law, regulations and guidelines all define when an application should be accepted or rejected and the Examiner has the authority of deciding when this should happen. The Deputy Commissioner considers that the Examiner acted appropriately by giving three rounds of examination. After the case is closed by the Examiner, under sections 49 and 50 of the Regulations, the Applicant has an opportunity to appeal the decision to the Commissioner. The Applicant is entitled to a hearing and may even amend the claims if he asks for a hearing. The Applicant took advantage of this and had his hearing, an opportunity to address issues raised and to amend the claims. After the hearing, at the end of December 2014, the Patent Office issued Guidelines for relating to claims relating to polymorphism and salts. These guidelines are to be found on the Internet and define the terms and provide a framework for assessing inventive step in polymorphs. Although the guidelines were not before the Examiner or Applicant during prosecution, they do, nevertheless, relate to the substantive issues raised and can be used in this decision on Appeal. Here the Deputy Commissioner notes relevant case law concerning retroactively implementing procedural issues. Finally, the Deputy Commissioner notes that on Appeal (T266/11 from 10 August 2015), the European Patent Office found inventive step and allowed the corresponding application. (i) Dissolving anamorelin in an aqueous methanol solution (in proportions of between 1:4 and 4:1) at 65 Degrees Centigrade. (iii) Separating the crystals from the solvent. Claims 4 and 5 were cancelled. Claim 7 claims heating to a temperature beyond 65 Celsius, Claims 8 to 11 are canceled and Claim 12 relates to a post-crystallization step of forming a mixture of the anamorelin and a defense group at a temperature of 50 – 75 Degrees Centigrade, and then adding methane sulphonate. Then neutralizing the mixture with aqueous potassium hydroxide, letting the crystals precipitate out of solution at room temperature and separating. Claims 13, 14 16 and 127 are canceled and claim 15 specifies a higher temperature. The main basis for rejecting this invention is to lack of inventive step in light of US 6,576,648. The Applicant claimed in the hearing that there is inventive step due to the very specific solvents used. However, in the specification there is a long list of solvents that are claimed can be used to fabricate the crystalline salt. There is no doubt that there is a contradiction between that claimed on appeal and that written in the specification. Once the Applicant understood this, he requested permission to correct the specification. In the post-hearing summary the Applicant offered to delete all of the solvents that ex ante were ineffective in causing the precipitation of the of the specified polymers. Since no new material was added, the Applicant argued that this did not require post-dating. US 6,576,648 describes a new formulation and a process for its synthesis. According to the Examiner, the formulation synthesized by the process described therein is crystalline, whereas the Applicant argues that it is amorphous. Both parties agree that the crystalline form is a solid with a regular repeating arrangement of molecules. Similarly both parties agree that an amorphous form is not crystalline. The problem arises since on Page 20 lines 10-11 of US 6,576,648 the fumerate salt is described as being a “white powder”. The Examiner considers this as being the crystalline form, whereas the Applicant alleges that this is amorphous. The Applicant claims to have followed the process described in US 6,576,648 with the resulting precipitate being amorphous. The intermediate products are also not as described. The relevance of whether or not US 6,576,648 describes a process for manufacturing a crystalline substance is relevant since the Applicant claims that due to there being a difficulty in crystallizing the material, the crystallization itself may be considered inventive. [MF – Previous Commissioner Dr Meir Noam (himself a chemist) considered the correct bar for inventiveness of chemical synthesis as being obvious to try, not obvious to succeed]. Furthermore, it was inventive to use the free anamorylin rather than to crystallize a salt. Finally, the Applicant noted that in US 6,576,648 the material was 96.45 pure whereas the purity of their crystals was 99%, and this was an improvement over that achieved previously. Section 5 of the Law defines Inventive Step as something that does not appear obvious to persons of the art in the light of prior publications that pre date the application date. It is not disputed that both free anamorylin and anamorylin fumerate were known at the priority date. And there is no argument that the crystalline form of a material is advantageous over amorphous forms with respect to stability and solubility. The second reference tabulates appropriate solvents, and notes that methanol and water are common solvents. Indeed, in the Application, the Applicant himself claimed that other solvents would result in crystallization of the material, although he backtracked from this claim after the hearing, and applied to amend the specification accordingly claiming it was a ‘scribal error’. As stated previously, the Applicant argues that US 6,576,648 describes a process for manufacturing amorphous anamorylin fumerate, as resulted from their attempt to repeat the process. This despite the fact that US 6,576,648 stated that the final product was a “white crystalline salt”, that after sieving and drying in vacuum transformed to anamorylin fumerate as a white powder. 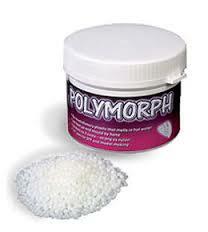 If the Applicant is correct that the fumarate is an amorphous solid, there is a question whether the claimed polymorph is inventive thereover. Without Israeli case-law relating to whether or not a crystaline polymorph is inventive over a solid amorphous material, it is worth reviewing the position of the European patent office on this issue, first with regards to other processes and then with regards to the present invention. The tribunal concluded that the advantages and dissadvantages of the polymorph over the amorphous form of the material were forseeable and thus prior knowledge in the field, even if not every polymporph was equally advantageous. The Tribunal further ruled that merely claiming a specific polymorph is not an expression of inventive step, since selecting one of a range of polymorphs that are all equally suitable is not inventive step. In a later ruling by the Appeals Tribunal of the EPO, T 0643/12 Eisai R&D Management Co., Ltd from June 2015, the tribunal considered the claimed polymorph was a patentable invention. This ruling was based on the fact that in Warner one polymorph was selected randomly whereas in Eisai there was a desirable set of properties not found in other known forms, which the combined teaching of the prior art would not have led one to expect. In our case, the Applicant claims that his attempts to crystalize the various salts of anamorylin were unsuccessful and he therefore treid to crystallize the free base, which is not an obvious choice. (The second piece of prior art does not direct one towardds the salts of the free base). In other words, contrary to that claimed in Israel, the Applicant claimed in Europe that the material was crystalline, which led the tribunal to conclude that persons of the art would have tried to precipitate out the salt in preference to the free base. Since now the Applicant claims that one cannot crystallize the salt, one must conclude the opposite, that persons of the art would have tried to crystallize the free base. The Deputy Commissioner does not know why the Applicant changed his mind and argued a contrary factual position in Israel to that argued in Europe, but there is no doubt that the two positions are incompatible. Without looking into whether the statements before the European Tribunal estoppels the applicant from making a contrary factual statement in Israel, as per the ruling in 513/89 Interlego vs. Exin et al. PD 48(4) 133, the legal argument made by the European tribunal according to the Applicant, contradicts that said before this court. In other words, one cannot claim that a person of the art would have tried to crystallize a salt since in a previous publication the inventors had succeeded to crystallize a salt and thus crystallizing from a free base is inventive, whilst simultaneously claiming that persons of the art would try to precipitate the salts since precipitation of the salt had not succeeded. Thus the Deputy Commissioner prefers the Examiner’s allegation that a person of the art failing to crystallize a salt, would try to crystallize the free base, as did the applicants. Thus the Applicants claim that crystallizing the free base is inventive is untenable. As to the choice of methanol being inventive, the specification gives a range of solvents which contradicts this position. The applicant claims this was a scribal error. The Deputy Commissioner acknowledges that the Applicant can amend the specification even at this post hearing stage, but significant changes are post dated. Since the Applicant claims that using methanol as the solvent is the basis of the invention, this point is not minor and the whole application will require post-dating. In other words, a different story is now being presented to that in the original application and thus the priority date is forfeited. The Applicant only saw fit to rectify this mistake after claiming at the hearing to the contrary of that in the specification. Citing the Recent Decision by Judge Grosskopf, 33666-07-11 Unipharm vs. Sanofi (8 October 2015) the Deputy Commissioner noted that not revealing full information during patent prosecution could even result in compensation to a competitor. That case also related to a polymorphism. Whether or not in this case the Applicant intended to deceive, it seems unreasonable to claim a scribal error regarding the point of inventiveness, eleven years after the priority application was filed. The Examiner found that the XRAYdiffraction peaks of the monohydrate were identical to those of the dehydrate, despite the difference in water of crystallization. She did not find this tenable. The Applicant cited Andre S. Raw et al. “Regulatory considerations of pharmaceutical Solid Polymorphism in Abbreviated New Drug Applications” Advance Drug Delivery Reviews 56 (2004) 397 – 414 to show that this was possible. Having ruled that there is no inventive step, the question of claim clarity is superfluous. Nevertheless, the Deputy Commissioner concluded that claim 1 claimed the correct water of crystalinity for the monohydrate but the diffraction peaks claimed were different from those in the table in the application as were the temperatures at which energy was released in phase transformations. Specifically, the table claimed energy releases at 108.2 Degrees Centigrade and 112.7 Degrees Centigrade whereas the claims claimed 109.5 Degrees Centigrade and 116.5 Degrees Centigrade. The DSC peaks were those given in Example 8 which could relate to the dehydrate whereas the peaks in table 5 for the monohydrate were different. It could be that the confusion testifies to the difficulty in analyzing the experimental results but this makes it more difficult if not impossible for competitors to ascertain if they are infringing or not. Unclear claim boundaries are undesirable and contravene Regulation 20(a)3 and 41(8) of te regulations. See 179995 Orbotech vs. Kamtek (20 July 2014), paragraphs 28-31. The claims are thus unclear. The final rejection was upheld. I can only read and report on the decisions as issued. I reported at length to avoid accusations of bias. The Examiner may well have written the guidelines but I expect they were reviewed by more senior staff. I note that Unipharm has pretty consistently convinced the courts that polymorphs per se. should not be patentable unless there is some non-obvious advantage. It is certainly possible that the Deputy Commissioner waited for Grosskopf’s decision and the guidelines to issue. I assume that you can appeal the decision to the courts if you are unhappy. If there is any truth in the allegations of deceit on the Patent Office, however, I expect Adv. Adi Levitt will have a field day if this becomes inter partes.